Please follow these links to view some of our Air Conditioning and Heating equipment on sale, if you don’t find what you’re looking for then be sure to call us to find out what else might be on sale, our equipment inventory frequently changes as well as there may be new factory price reductions or other rebates available. We sell all major brands of Air Conditioning And Heating equipment, four of the most popular brands are listed in our Product Guide. 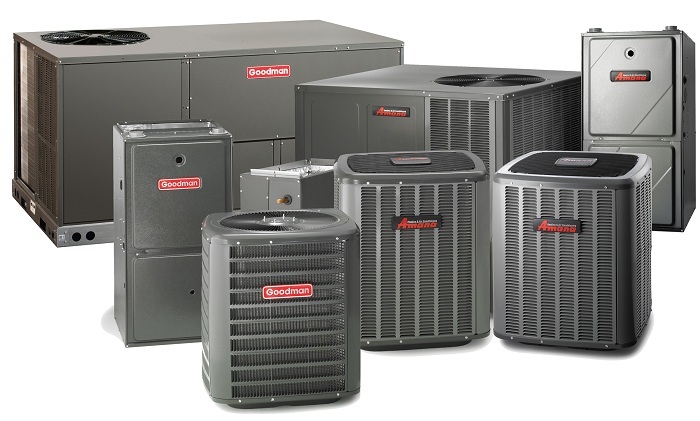 Among the most common brands of Air Conditioning and Heating manufacturers are: Amana, Carrier, Day & Night, Goodman, Intertherm, Lennox, Rheem, Trane, and York, we sell and install these as well as all other major brands of Air Conditioning And Heating equipment. Quality installation workmanship is key to the functionality and longevity of your new equipment, we always install equipment by manufacturers specifications and to national and local codes, all of our installation workmanship is warranted for the life of your new unit. We want your business and will do our best to win it. If you provide a written bid from a licensed competitor, we will match it, or as in most cases we’ll beat it.